That’s why a restaurant with a comfy sake bar and really good sushi and sashimi is such a treat – you can find the sake you like and then move to the dining room to pair it with your favorite sushi. A comfortable, pleasant atmosphere to relax in, an excellent sake bar and wine list, two superb sushi chefs, a great cook in the kitchen, and an easy, welcoming attitude out front. Outside Ume Japanese Bistro on Old Redwood Highway in Windsor, Tracie Wishart of Guerneville turned to her fiancé, Radhi Barnes. “This place was amazing,” said Wishart, who works for Sonoma County’s Psychiatric Emergency Services. I absolutely LOVE this place. The sushi rolls are original and tasty. Every time we’ve gone here, the service has been great and the food tastes fresh and clean. I highly, highly recommend this place as well as their Tokyo Tower Roll! Asparagus, tempura shrimp and sprouts. Sooo good. The set up is cozy and cute and clean. Great eats! I have visited this restaurant three times and have not been disappointed. The seafood is always very fresh and the menu offers some colorful and unusual but delicious combination of rolls. They do a good job with the tempura. Nice selection of saki and a tasting offering which is well priced if you want to try three different ones. 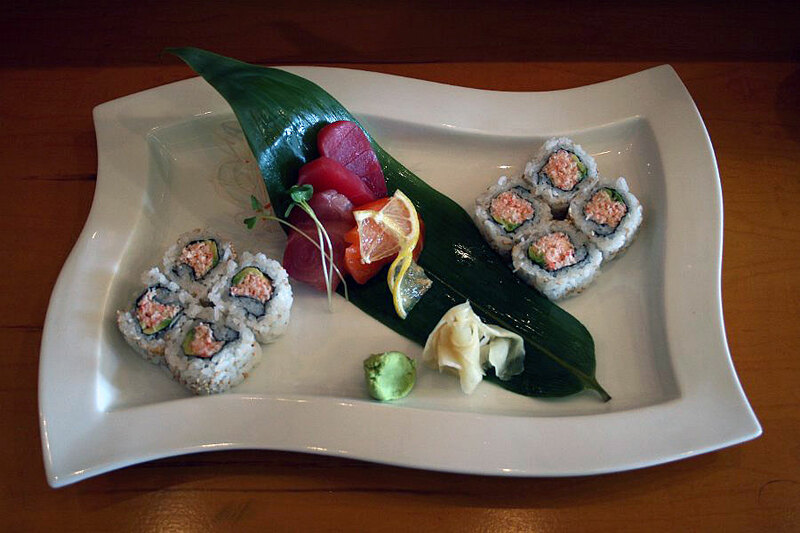 Ume Japanese Bistro is a real gem, located just 50 yards off 101 from the Central Windsor exit. If you have an urge for Japanese cuisine in this area, this is the place for you. 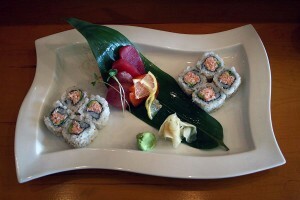 My Husband and I went to Ume’s in Windsor on Friday, February 18, 2011 around 8pm. We were surprised to see it wasn’t super crowded. We were greeted as soon as we walked in the door. And I immediately noticed the place was clean and didn’t smell fishy, it smelled fresh. I had exteremely high hopes for this place. I have been hearing about how amazing Ume’s is for at least 6 months. At the gym. From friends. etc. Ume (pronounced oo-may) means plum in Japanese. At the risk of brandishing the most obvious cliché known to weak writers everywhere, I’m still going to say it. Ume, the Japanese restaurant in Windsor, is a plum.